110% Play Harder– I was chosen as one of the few for elite group of 110% Play Makers this year. Humbled, and honored. As sports medicine and technology advance there are still some things that stay the same. The old adage of R.I.C.E. for recovery is one of those. 110% has built upon that principle and made it easy to get 2 of the 4 at once. Gradient compression gear that’s fitted with icing pockets allow you to reduce fatigue and make a faster recovery. Not only for the triathlete, runner or cyclist – this gear is great for anyone who’s active. Dread the ice bath no more. I’m excited to see where 110% takes the game this year. Grease Monkey Wipes– Grease Monkey Wipes are citrus cleaning wipes that use an all natural degreaser for heavy duty cleaning. Each individually packaged wipe easily removes grease, grime, oil, paint, marker and other messes from skin and surfaces. You may have seen them on ABC’s show “the Shark Tank.” I’m proud to support this local Austin company as an affiliate. I keep them in my bike bag, my workout bag, a canister in the garage and in each car (great for helping change flat tires). Nuun Active Hydration– Nuun tablets simply take your normal water bottle and give it an extra edge. Add nuun to your water to get a light refreshing electrolyte drink without all the sugars. Now you don’t have to worry about any extra junk in sports drinks, extra sugar or anything else. It delivers the hydration you need for cycling, swimming, running, working out, traveling, etc. in an optimal fashion. Find in your local bike shop, or you can order online here. I’m proud to represent Nuun as part of their ambassador program. Big Pistachio Racing Team– Simply put, the best racing team around. And by best you mean people who enjoy life, enjoy racing and deliver on both fronts. An incredibly unique racing team based in Austin TX. With cyclists, triathletes, runners, cross fitters, etc. there is a place for everyone. A team founded on the principles of going hard and having fun. Road ID– You carry an identification card with you everywhere you go. Except when you lace up your running shoes, or get on the bike. 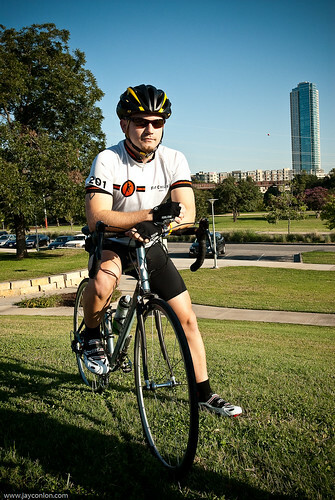 Road ID makes it easy to have identification with you when doing endurance sports. Accidents happen far more than you think they do. Each year approximately 450,000 of us are taken to hospitals unconscious and without identification. I never leave home without my Road ID, and now neither do my friends or family. Do yourself and your family a favor, get a Road ID. Powered Thru Christ– Started by a good friend and endurance mentor of mine. 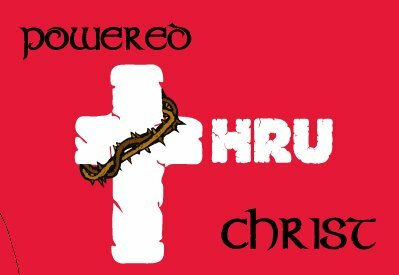 Powered thru Christ is a group of endurance athletes across the United States that have similar beliefs that Jesus Christ is the Son of God, who died on the cross for our sins to give us everlasting life. The idea was to be part of a team of athletes that didn’t require anything but your heart to be involved. We all strive to be a part of something to believe in and build relationships with people who have similar beliefs. This Endurance Team is built around relationships, the kind you build with people with common faith, common interests, and common goals.